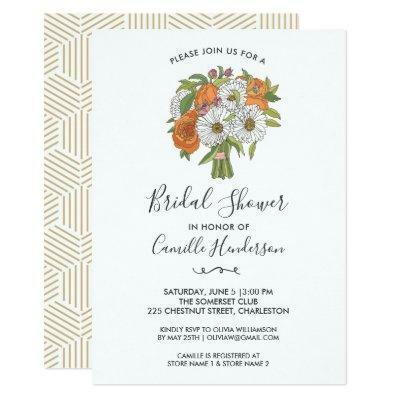 Celebrate the bride to be with this bridal shower invitation featuring party details accented with a bouquet of colorful flowers. Backside features a modern gold geometric pattern. Fun and trendy yet elegant and classic - a perfect start to the bride&#;s wedding celebration.